Make plans now to visit a cemetery each day from November 1st through November 8th for the Poor Souls in Purgatory. The Poor Souls have so few souls who pray for them nowadays. They need our prayers. Go out and visit a cemetery and gain an indulgence for them. The faithful who during the period of eight days from the Commemoration of All Souls inclusive, visit a cemetery in a spirit of piety and devotion, and pray, even mentally, for the dead may gain a plenary indulgence on the usual conditions, on each day of the Octave, applicable only to the dead. Traditional Catholics yesterday celebrated the Feast of Christ the King. Yet a small percentage of Catholics in the world today are celebrating the 500th anniversary of the revolt of Martin Luther. This video is a powerful overview of the grave evil that was manifest in Martin Luther. In Brussels Catholic Cathedral yesterday, the 500 years of the hideous acts of heresiarch Luther were celebrated. What did a small group of serious Catholics do? 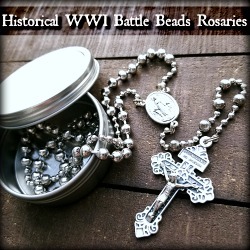 They pleaded Our Lord for forgiveness, by invoking the aid of Our Lady in the Ave Maria in the Rosary. And for that protest of the blasphemy and profanation of the Cathedral, they were arrested. Read more. As we conclude this month in which we celebrated the life of Christopher Columbus, who has been unjustly marred by many in our current day, I encourage you to listen to this brief sermon on him. According to a legend that appeared in the tenth century, Ursula was the daughter of a Christian king in Britain and was granted a three year postponement of a marriage she did not wish, to a pagan prince. With ten ladies in waiting, each attended by a thousand maidens, she embarked on a voyage across the North sea, sailed up the Rhine to Basle, Switzerland, and then went to Rome. 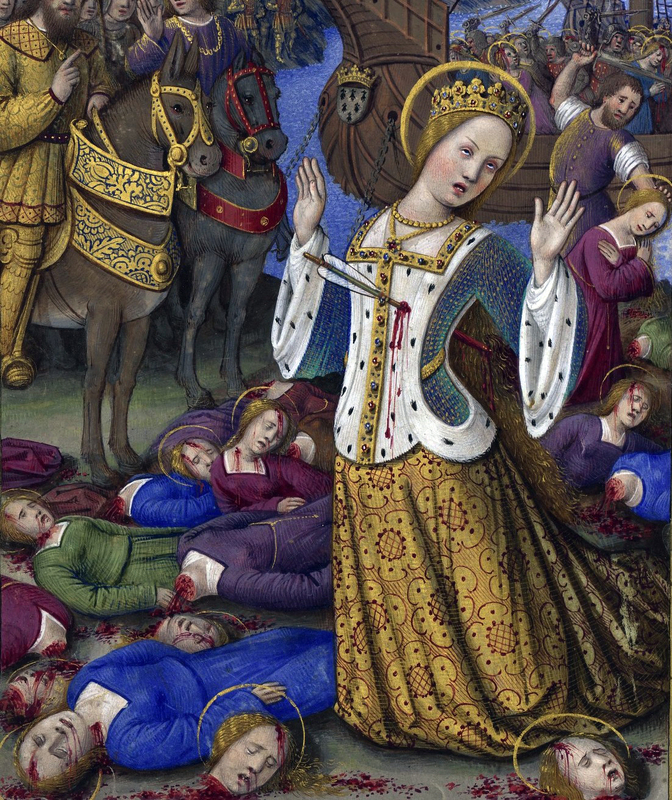 On their way back, they were all massacred by pagan Huns at Cologne in about 451 when Ursula refused to marry their chieftain. According to another legend, Amorica was settled by British colonizers and soldiers after Emporer Magnus Clemens Maximus conquered Britain and Gaul in 383. The ruler of the settlers, Cynan Meiriadog, called on King Dionotus of Cornwall for wives for the settlers, whereupon Dionotus sent his daughter Ursula, who was to marry Cynan, with eleven thousand maidens and sixty thousand common women. Their fleet was shipwrecked and all the women were enslaved or murdered. The legends are pious fictions, but what is true is that one Clematius, a senator, rebuilt a basilica in Cologne that had originally been built, probably at the beginning of the fourth century, to honor a group of virgins who had been martyred at Cologne. They were evidently venerated enough to have had a church built in their honor, but who they were and how many of them there were, are unknown. From these meager facts, the legend of Ursula grew and developed. O Lord our God, grant that we may always honor the victories of Your blessed virgin martyrs Ursula and her companions. Although we are unable to pay them the honor that is due, may we at least offer them our humble tribute. Through our Lord . . .
October 16th is the Feast of the Purity Of The Blessed Virgin Mary in Some Places. This Feastday is kept by various religious orders in the Church as it is one of the Masses Said in Some Places. While not on the Universal Tridentine Calendar, it nevertheless is worthy of our devotion on this day. 1. Mary, Mother of God, you are the Virgin most pure because you are the Immaculate Conception. The closer a soul is to God, the farther it is from sin. God is infinite good; sin, horrible evil. No one could have had a closer approach to God than you, for it is impossible for any creature to be closer to God's Son than His own Mother. From eternity, before anything was, you were united to your Son in the mind of God as His most pure Mother. When God decreed the incarnation of the Word, His very own Son, through you alone, you had a place in the same plan as Jesus. Since the conception of the Son of God is all holy, all pure, infinitely removed from every appearance of sin, it was supremely fitting that your conception should be equally far from sin. For that reason you were conceived by your mother, Saint Anne, without even the shadow of sin. You are the Virgin most pure. Because you were to be the Mother of God, original sin, which like all Eve's daughters you should have contracted, could not touch you. Such a stain would have reflected upon your Son, who is Holiness itself. Then Satan could boast that he had overcome Jesus in you, His Mother. You are pure and sinless. You expressed this to Saint Bernadette at Lourdes when you said, "I am the Immaculate Conception." Mary, My Mother, there is no sin in you; in you there is only God's grace—His light, His splendor, His love, His unspeakable delight. You are truly His beloved Daughter, the only one in whom there was never a stain. With you all is pure, virginal, immaculate In you there is no inclination to evil—no impure thoughts or desires. You are God's purest and holiest creature, the one chosen to conceive and bear the Son of God. Who would not love you and endeavor to imitate you, most beautiful and immaculate Mother of God? 2. Mary, Mother of God, you are the Virgin most pure because you are full of grace. You are the most beautiful of creatures, the one in whom there is no spot, God's masterpiece. You are full of grace, the Lord's free gift, and it overflows in you filling your soul with every virtue and perfection. What marvels of grace possessed your soul! Sanctifying grace made you God's adopted child and the lawful heir to His eternal kingdom, putting you in possession of God's goods and of God Himself forever. That grace made you holy and most pleasing in God's eyes, the special object of His love. Sanctifying grace likened you to God as it did no other pure creature. Because you were full of God's grace and a Virgin most pure, Gabriel could exclaim, "You have found grace with God." No one has found or received such grace as you. But who can describe the matchless purity and beauty of your soul? Jesus is the most beautiful of men; you were His mould, His mirror, and He, yours. Your soul contained all the marvels of God's grace, for which reason the Church calls you the Singular Vessel of Devotion. Mary, My Mother, you are all beautiful—beautiful in mind, in body, in soul! In you I behold the charm of the purest of virgins, the majesty of the noblest of mothers. You are beautiful at your presentation in the temple; in prayer before Gabriel as he awaited your answer, in Nazareth's hidden life and later as you followed Jesus and listened to Wisdom speak. You were beautiful when you stood as the brave Queen of Martyrs beneath the cross of your dying Son; in the supper room beneath the fiery tongues of the Divine Spirit; beautiful, above all, in the glory in which you reign with Jesus. If a single soul in the state of grace by far excels in beauty all other earthly beauty, what beauty must you possess, Virgin most pure, who surpassed in holiness all other souls in the state of grace! 3. Mary, Mother of God, you are the Virgin most pure because you are the holiest of God's creatures. You are the holiest of God's creatures because you are the Mother of God. The Prophet tells us that God is "wonderful in His saints" (Ps. 67, 36). 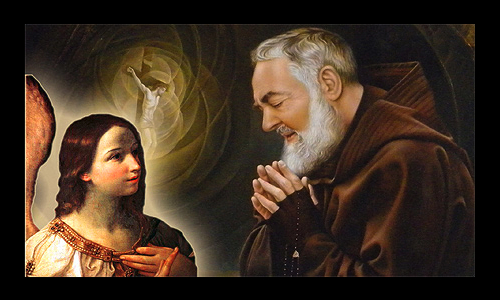 How wonderful, then, He must be in the Mother of the Saint of saints! In you, to an eminent degree, all the privileges of other saints meet. 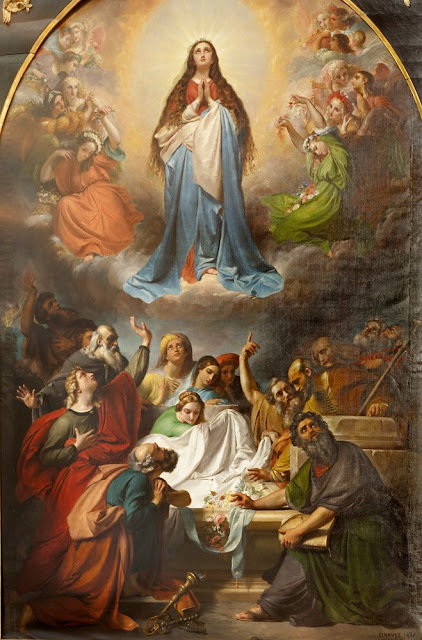 The Church venerates many holy virgins, martyrs and other saints, but no one of them has merited or obtained your title of Holy Virgin, Virgin most pure. Whatever of sanctity, of dignity, of merit, of grace and of glory, that we can imagine, all is in you. Holiness is a complete separation from creatures and perfect union with God through love. No one ever belonged to Jesus as completely as you, for you are His Mother. Jesus belonged entirely to you, the holiest among women. Your womb was so pure, so immaculate that it became the Holy of Holies, in which Jesus Christ our Lord, the Eternal High Priest, alone found entrance. Mary, My Mother, God raised you so high in Himself that He never has created and never will create a holier person more worthy of Himself, of His greatness, of His love, than you, O Virgin most pure. Having carried within you Jesus Christ, the Son of God, you share, as no one else does, in your divine Son's holiness and purity. You come nearest to the holiness of God. You are the holiest of women, the Virgin-Mother thrice holy, because you are holy of the Father, holy of the Son, holy of the Holy Spirit of Love. Hence with Holy Church I repeat, "You are all fair, Mary, and the stain of original sin is not in you. You are the Glory of Jerusalem; you are the Joy of Israel; you are the Honor of our people." With over 70,000 witnesses, the Miracle of the Sun is the greatest miracle that has occurred after Apostolic Times. It is life changing. May we all immediately change our lives to conform with the message of Our Lady of Fatima before it is too late. "Your Guardian Angel was one of those great warriors who, together with the Angel Saint Michael, defended the honour of God against Satan. He is still powerful against the devil...and his charity has not diminished, nor will he ever fail in defending us. Develop the beautiful habit of always thinking of him; that near us is a celestial spirit, who, from the cradle to the tomb, does not leave us for an instant, guides us, protects us as a friend, a brother; will always be a consolation to us especially in our saddest moments. "Know, my child, that this good Angel prays for you; offers to God all the good works you accomplish; your holy and pure desires. In the hours when you seem to be alone and abandoned, do not complain of not having a friendly soul to whom you can unburden yourself and in whom you can confide your sorrows. For pity's sake, do not forget this invisible companion, always present to listen to you; always ready to console you." 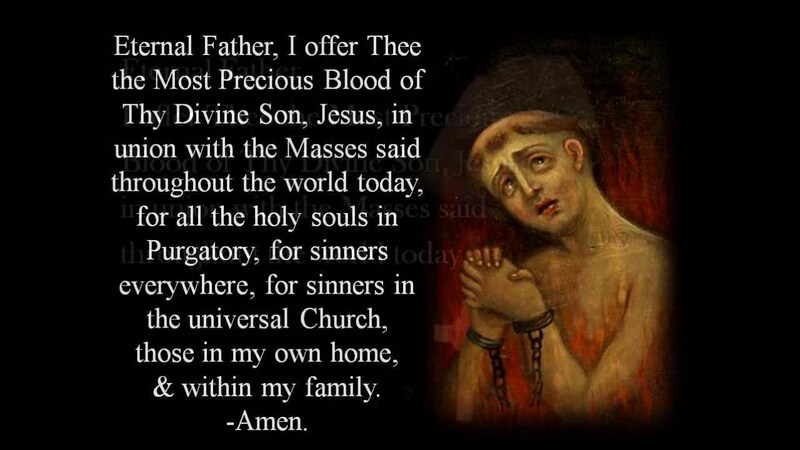 Strong words from St. Ignatius of Antioch. "Just beg for me the courage and endurance not only to speak but also to will what is right, so that I may not only be called a Christian, but prove to be one. For if I prove myself to be a Christian by martyrdom, then people will call me one, and my loyalty to Christ will be apparent when the world sees me no more. ... Our task is not one of producing persuasive propaganda; Christianity shows its greatness when it is hated by the world." Unfortunately, some today see the old Mass as a specialty item or nostalgia piece, forgetting that it was the essential center-piece that Christ gave his Church for the preservation of its doctrine and unity. God's vision for the Church was that it be One, Holy, Catholic, and Apostolic, and that it be bonded by one universal language and rite. 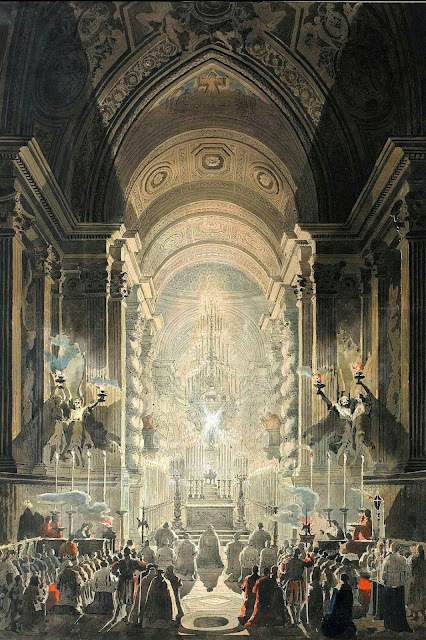 Hence a universal return of the Latin Mass would be a powerful means of restoring unity to the Church against the influence of the new Mass which has divided the Church since Vatican II. For with the Mass said today in the language of each country (vernacular), this has fostered the idea that the Church is something that is secular and divided, as opposed to holy and universal, so a return of Latin is needed to help bring about a true unity as it existed before the Council. However, the tables will never completely be turned back in the right direction unless Rome reverses what was the single most destructive innovation implemented after Vatican II, and that was when they turned the priest around so that he says the Mass facing the people with his back to the tabernacle. (versus populum) What has ensued is a historic shift of focus such that the emphasis today is on the community instead of on God. Such a renewal is only Magisterial. The offering of Mass facing the altar (ad orientem) has its roots in the Old Testament and has been the universal norm for the entire span of the New Testament. The Old Testament offerings facing the tabernacle were a figure of Christ’s Sacrifice that would continue perpetually in this manner through the priests, so that since the time of Christ there is no evidence of the Church having deviated from this pattern. This point is affirmed by Monsignor Gamber: "We can say and convincingly demonstrate that neither in the Eastern nor the Western Church was there ever a celebration facing the people." (The Reform of the Roman Liturgy) Even from the time of Abel to the time of Pope Paul VI, the sacrificial offering was always done facing God. This one change alone served mightily to deflect the Barque from its chartered course. This was the hub that set into motion the new order of liturgical chaos that has caused a wide body of the church to turn its back on Christ. Though some initially thought the liturgical reform was inspired of God, 1 the Novus Ordo was born of an aversion for God's goodness and a desire to "turn towards man, and away from God." It was for reason that Pope Paul VI, in recounting the destructive aftermath of Vatican II, declared to the world: "From some fissure the smoke of satan entered into the temple of God." (June 29, 1972) The adversary knew that if he could get his foot in the door, he could use the Church’s liturgical apparatus as a tiller to drive the Church shipwreck onto secular coasts. Monsignor Gamber, whose work was highly praised by Cardinal Ratzinger, had this to say about the change of liturgy: "The liturgical reform welcomed with so much idealism and hope by many priests and lay people alike has turned out to be a liturgical destruction of startling proportions, a debacle worsening with each passing year. 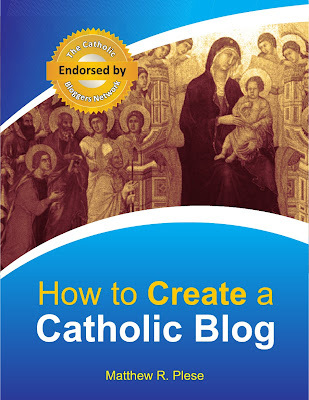 Instead of the hoped-for renewal of the Church and of Catholic life, we are now witnessing a dismantling of the traditional values and piety on which our faith rests." 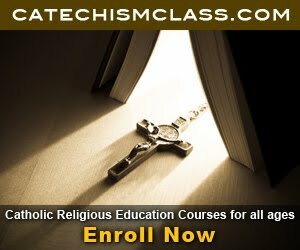 "The Catholic theology of the Mass" is a reference to the Sacred Mysteries. During the elevation of the Host and Chalice, the Sacrifice of Calvary is reenacted, whereby the substance of bread and wine is changed into the very substance of Jesus Christ, so that the substance of bread and wine ceases to be. It is now the substance of Jesus Christ, only and entirely, without any other substance mingling with it. Only the accidents or physical properties of bread and wine remain (e.g. taste, smell, touch), but the substance itself is now Christ, and only Christ. This Divine substance under the appearance of bread and wine is what we call The Mystery of Faith. All care must be taken to preserve the integrity of the liturgical text as it was given to us by the holy men of God, that it might impart the proper light and understanding concerning this Mystery of Faith—the very heart of the Mass. The liturgy is supposed to enhance our awareness of this Mystery by rendering honor to our Eucharistic King on the altar, but today's liturgy has diverted the attention away from Christ and turned the Mass into an occasion of festive encounter between the congregation and priest. During an international teleconference on August 30, 2016, Cardinal Raymond Burke, the former prefect of the Apostolic Signatura lamented the scandal of Mass versus populum, arguing that it turns the Mass into a performance or dialogue. "There’s the great temptation when the priest is facing the people to see him as some kind of a performer," the former St. Louis archbishop said. "Instead of the priest together with the people relating to God, somehow it becomes an interaction between the priest and the people." This liturgical aberration, when combined with flippant liturgical text spiked with political agenda, make-shift Eucharistic prayers, and casual socializing before Communion with the hand shake of peace, have worked together to bring about what can be called the greatest crisis facing the Church today, namely, the loss of the awareness of the supernatural presence of Christ in his sanctuary. We might say that a form of Eucharistic atheism prevails today, thanks to the modern Mass. It was for reason that St. Pope Pius V issued ex-cathedra his superlative papal bull Quo Primum (July 14, 1570), whereby he instituted a perpetual mandate that the Mass of the Council of Trent alone be said. "This present Constitution can never be revoked or modified, but shall ever remain valid and have the force of law." Therein he makes clear that any future efforts to alter or deviate from the Tridentine formula of the Mass will "incur the 2 wrath of Almighty God and of the blessed Apostles Peter and Paul." What is interesting is that Pope Paul VI, so often accused of imposing the new Mass, never forbade the old Mass. In 1986, a panel of nine Vatican cardinals concluded that Pope Paul VI never abrogated the Mass of Pius V, nor did he mandate the New Mass, nor did he grant bishops the right to forbid or restrict priests from saying the Tridentine Latin Mass. Pope John Paul II had commissioned the cardinals to look into the legal status of the old Mass, as it was his intention to bring its legality to light. This laid the groundwork for Benedict XVI to continue the process of liberating the old rite, which he did via Summorum Pontificum (July 7, 2007), which reaffirmed the legality of the pre-conciliar Latin Mass. The Motu Proprio did not make the old Mass legal, but made official what already was the case, namely, that it always was the right of priests to say the old Mass without permission from their bishops. After all, if priests today do not need permission to say a Mass that was never mandated, they certainly don’t need permission to say the Mass that was. Do they need permission to keep the Ten Commandments too? If Pope Paul VI had truly mandated the New Mass, he would have specified this, but this was never done. Nowhere in the 1969 Missale Romanum does it mandate that the New Mass has to be said. The document merely mandates the publication of the new missal, ordering that "the prescriptions of this Constitution go into effect [are validated] November 30th of this year" and that it "be firm and effective now and in the future." But there is no mention of its use. The document was issued as an indult for those that wanted the new Mass. Pius V, on the contrary, laid down the law with his subjects, saying, "We order them in virtue of holy obedience to chant or to read the [Tridentine] Mass according to the rite and manner and norm herewith laid down by Us." He said: "Let Masses not be sung or read according to any other formula than that of this Missal published by Us" mandating that "This new rite alone is to be used." THIS IS THE MASS that needs to be returned if the light of true faith is to be preserved. Monsignor Gamber says, "A real change in the contemporary perception of the purpose of the Mass and the Eucharist will occur only when the table altars are removed and Mass is again celebrated at the high altar; when the purpose of the Mass is again seen as an act of adoration and glorification of God... and as the mystical reenactment of the Lord’s sacrifice on the cross." Returning the old Mass would show true pastoral care in that it would give the eternal riches of God back to his people and provide a true renewal in which the light of tradition can again shine through the liturgy and dispel the darkness of our time. Christ instituted his Church that it might be a light to the nations, signified by the Latin word Lumen Gentium. The eternal light emanating from the old Rite is that Lumen Gentium wherewith to attract the world to Christ, but by withholding this light it has deprived man of good things and wrought his alienation from God. Let us clamor then for the restoration of the main altar and that priests everywhere will begin offering the Mass facing the altar. The Vatican's chief liturgist Cardinal Robert Sarah is calling for a universal return of saying the Mass ad orientem, and said on September 7, 2017, that the world has "forgotten about God" because the priests "who are supposed to be 'the light of the world' (Mt 5:14) are not approaching the summit toward which the activity of the Church is directed." In an interview published on September 21, Cardinal Burke was asked which of the liturgical reforms requested by Cardinal Sarah should come first. Burke answered, "Offering the Mass with everyone facing the Lord [ad orientem]." He said, "This will help so much to restore the sense of worship and to show that the Mass is not some kind of social event between the priest and parishioners or the parishioners among themselves." 2 The wrath of Almighty God and SS. Peter and Paul is not incurred by priests who innocently comply with the Novus Ordo thinking it is the right thing to do, but by perpetrators such as those that authored the perfidious Vatican II document Sacrosanctum Concilium which, under the guise of restoration, proposed devious changes to the Mass in violation of the everlasting ordinance. Even so, the Mass today remains valid in that it reenacts the Sacrifice of Christ.